The prior 3 cosmetic consults, one from local high-end dentist in Southern Connecticut and 2 from New York and New Jersey, gave her recommendations to veneer at least 8 of her healthy teeth on the top, and due to her active lifestyles, to forgo porcelain veneers and instead choose monolithic veneers. She was a bit shaken to find out 8 labial veneers would cost her about $20,000 to start, and depending on lab and materials and dentist if she saw one of the best dentists in the USA, she would be paying as much as $30,000. The other concern the patient had was she had done hours of painstaking research and none of the dentists were able to give her any technical smile design considerations or really impress her with knowledge of how to create the appropriate smile contour and 3D dimensions to support her slightly under developed maxilla. The other dentists weren’t forthcoming with laboratories they used, and overall, she felt that the “top cosmetic dentists” in NYC areas were not making her informed consumer personality feel at a ease about the investment. She also had a feeling no one truly understood that she wanted “natural” not 5 shades whiter than any normal human shade of veneer and she was VERY anxious about losing tooth structure through the veneer prepping process. When she called to schedule her appointment at Dr. May’s office – she immediately identifying herself as a discerning dental patient looking for “the best cosmetic dentist” and that can’t “be fooled by regular dentists who just want to sell her dentistry” and after about 30 minutes on the phone with our new patient concierge the patient was ready to make Dr. May her cosmetic consult #4 and both pay and travel for the new patient appointment. What prompted her decision? Over the phone, the Dr. May’s new patient concierge was well versed in technical aspects of cosmetic dentistry, material selection, detailed smile design approach but what sold her was the minimal preparation veneer approach and in general, minimally invasive esthetic dentistry. Her smile design was completed at her 2 hour new patient appointment, and what she was MOST happy about, was that Dr. May talked her into having not 8 or 6 or 4 or 2 veneers but convicted her to try ONE veneer. This was a dangerous method, but Dr. May was so convinced she had beautiful teeth that he didn’t want to prepare and ruin if he could instead (and he believed he could, as the best cosmetic dentist) match her tooth perfectly. 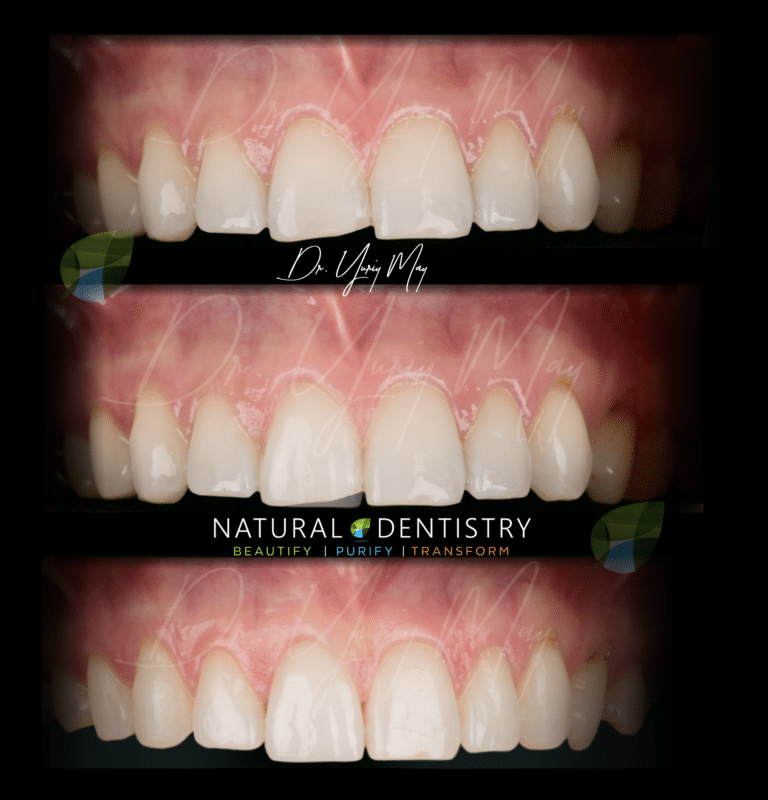 Dr. May went through the painstaking process of PERFECTLY matching her 1 central incisor (the hardest, by far, task to do in cosmetic dentistry, ask any dentist). He worked with a lab and spent over 3 hours on the phone discussing the case, marking it up in 2 dimensional and 3 dimensional sketches [on and off the computer], capturing color variations and the final veneer even had to be sent back 2x, but alas, he prevailed. What was the technical difficulty in this case? 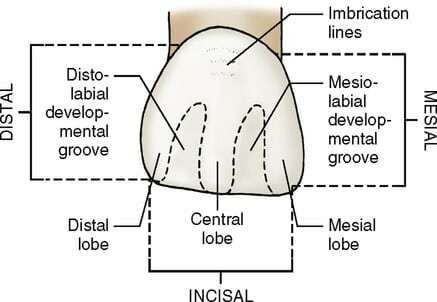 The compromised broken tooth was wider in terms of its positioning than the other incisor and so a poor lab would make the labial veneer look too wide if it symmetrically replicated the opposing incisor. Test your local dentist by asking him about all the elements of the central incisor maxillary morphology and you’ll know whether he’s a cosmetic dentist with a specialty in producing emasculate dental veneers! After the shape was achieved, the color was tweaked and perfected until the perfect translucency was reached along with warmth and gray undertones to balance the anterior teeth and complete one the most minimally invasive, natural smile makeover that has been documented to date. The patient cried when her final labial veneer was cemented and announced, without any hesitation, that Dr. May was the Best Cosmetic Dentist in the USA, and to her, in the world. Anything is possible when the right talent, passion and skill is behind it! We thank her for selecting the ultimate dentist in the industry to save her thousand of dollars in cosmetic dentistry and also save all her teeth. She’s beautiful, healthy and has send more patients to Dr. May than we can count on our digits alone!